I love finding new products for my skin. I recently tried a couple of products from Jabu’she that I just loved. 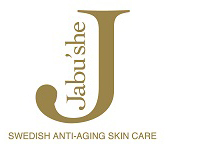 Jabu’she is a line of Swedish anti-aging products. Jabu’she was created after extensive research on the actual product formulation and its core ingredient, QAL-100; The study was reviewed by the Research Ethics Committee at Karolinska Hospital in Stockholm (2001), and has been published in one of the most prestigious medical journals, The British Journal of Dermatology (founded in 1888) 2003:149:841-849t. 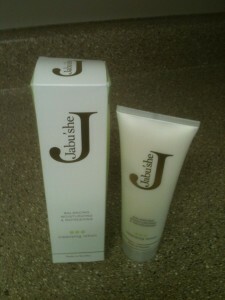 Here is the Jabu’she Cleansing Lotion which is very gentle and had a fresh scent. I liked how smooth it was. It is perfect to use for you daily facial cleansing regimen – no need to worry about skin irritations from using it. 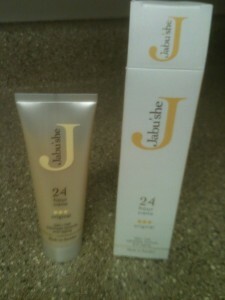 Jabu’she cleansing lotion gives the skin a finer luster, increased vitality, and fewer visible pores. The cleansing lotion also helps firm, refresh and calm your stressed skin. 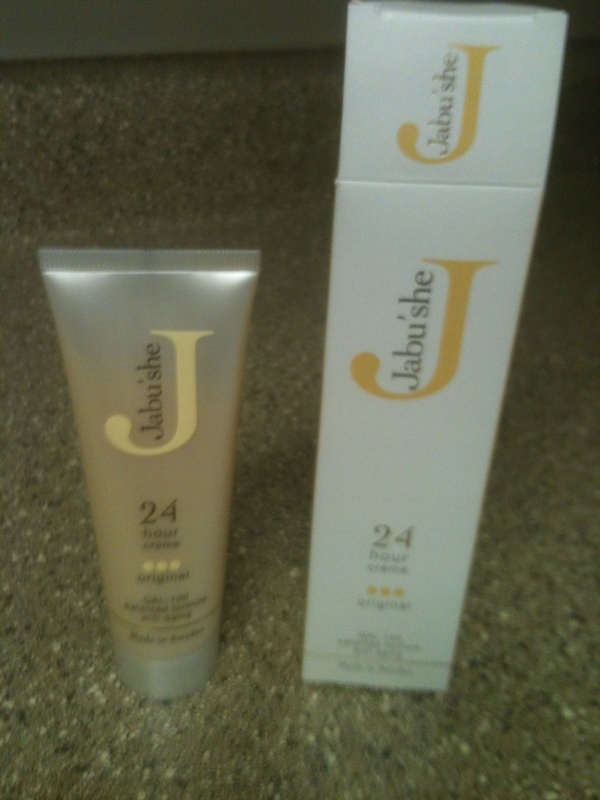 This is Jabu’she Original 24 Hour Cream is an anti-aging cream that helps revitalize the appearance of aging skin. It helps reduce the appearance of pore size and helps make skin like brighter and can help reduce hyperpigmentation. You can start seeing results in 3-4 weeks with regular use. What I liked most about the 24 hour cream is how smooth it was and how well in hydrated my skin. It did not leave my face feeling greasy or shiny. This lotion contains a unique formulation QAL-100 which has antioxidant properties. Jabu’she has some other great skin care products that you can find and order HERE. You can also connect with Jabu’she on Facebook.